A global pharmaceutical company sought a stronger facilities management (FM) function across its global footprint, which encompassed more than 30 million square feet of space in 75+ countries. The sites included offices, lab and research facilities, data centers, large mixed-use campuses and manufacturing plants. Specifically, the company needed to establish an effective global FM organization and stronger FM practices to meet employee and business needs in key regions around the world. In total, approximately 1,500 suppliers were providing a range of FM services to the company. Senior management recognized the need for an integrated model and saw the advantage of rationalizing its supply base and moving away from the previously fragmented approach. Further, there was a clear opportunity to leverage advanced capabilities and best practices from a maturing FM market. The business case was built not only on cost savings associated with economies of scale, but also on long-term performance improvements, increased transparency and enhanced governance. Changes in the leadership structure brought greater visibility to the FM integration and supplier consolidation efforts. Further, the company’s decentralized culture required that the operational model provide flexibility to meet the diverse business needs of individual operations around the world. Striking the right balance between standardization and flexibility was critical to success. As a result of a comprehensive benchmarking program previously completed by Trascent, the company had comprehensive FM operations data from some of its largest sites. In defining the strategic sourcing model and an objective value proposition, the Trascent team mined this data to identify discrete opportunities for cost savings, efficiency and performance gains. For instance, according to Trascent market intelligence, the company had the opportunity to reduce costs by 15-20%, relative to its peers. Effectiveness could also be improved by outsourcing non-core services. With a clear, data-driven business case in hand, the company opted to “go to market.” Trascent oversaw the full process—from designing and releasing the RFP, to soliciting competitive bids and managing responses, to contract modeling and negotiation support. Critically, the RFP included information and guidance that enabled the suppliers to provide high-quality and thoughtful responses, ensuring that the company received meaningful bids aligned to its goals. Further, by starting with collaboration during the bid process, the company was able to demonstrate to the supplier community that it was looking for a long-term partner, not simply short-term cost cuts. 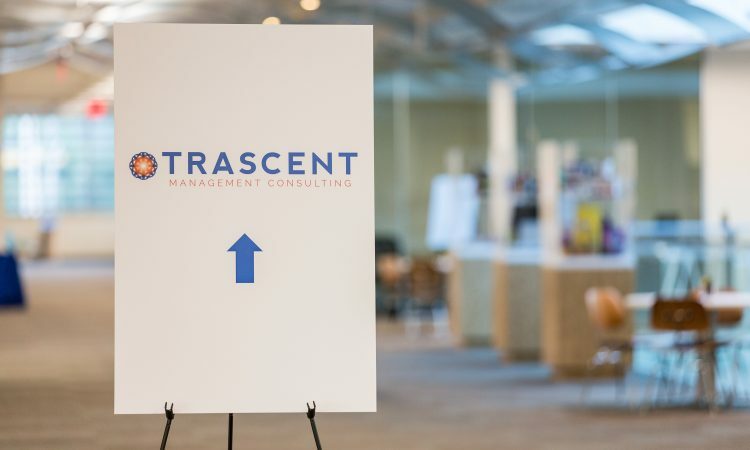 Throughout the project, the Trascent team provided advice and coaching to the company’s FM leadership and engaged various stakeholders across the business to help boost acceptance and adoption at individual sites. The Trascent team also worked on the contract structure, which featured clearly defined KPIs and immediate-term targets, as well as long-term guarantees regarding future expansion of scope—an essential element given the company’s strong growth trajectory. Lastly, Trascent offered guidance in focusing the new FM organization on core competencies and seeking the right sourcing approach for all other services. The clearly articulated strategy and standard contract template served as the foundation for a global model with regional suppliers that the company selected as the optimal approach. Supplier negotiations proceeded smoothly and efficiently and were completed within five weeks. In the end, the company retained suppliers for each of its regions. Three main suppliers are in place—one for North America and two for Europe, based on particular capabilities in offices and manufacturing sites. Attractive pricing, cost savings and the matching of strong capabilities to specific business needs drove the decision to use a regional supplier model. However, the contract structure and outcome-based scope and scorecards are identical across regions and sites, streamlining supplier management, ensuring consistency of deliverables, limiting long-term risk and promoting healthy competition. Today, the overall relationships and FM operating model are working well, with the governance structure and clearly defined performance metrics facilitating strong collaboration and communication. The company has moved from fragmented sourcing relationships with many tactical vendors, to an integrated FM model, based on more standardized processes, a disciplined approach to service management, sharing of best practices and true strategic partnerships with just a few suppliers. Plus, the company has clear and objective insight into performance improvement. Interestingly, the sites that fully embraced the integrated model have experienced the best results. As the company has expanded—nearly doubling its global footprint through acquisitions—its FM savings and cost efficiencies have been protected, thanks to the forward-looking contract and long-term guarantees. The company continues to engage Trascent to find ways to refine the model and continuously improve the value added by the new FM organization.